Brides & Grooms come in many varieties. 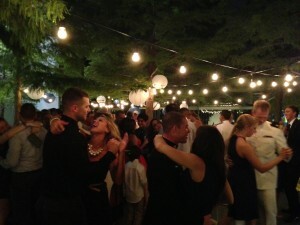 Some are 100% local, others are fresh out of college, some have moved away and are returning home for their wedding day. But one of the most specialized types of couples to deal with in planning a wedding is a Military Couple. As a DJ & MC of hundreds of weddings, I have seen the good, the bad and the ugly of the industry and take special care to point out the potential pitfalls of planning to my brides & grooms. Since distance-planners are at such a disadvantage, they are often a target for deceptive business practices. So my advice is always to use caution when vetting long-distance wedding vendors. I have a great list of reliable wedding venues, photographers, caterers, officiates, and more. Certainly respect is important to our people in uniform. So as a wedding professional, flexibility and service are the best way I know to show that respect. In the case of military couples, it is very common to have plans being made from multiple cities, states and even countries. 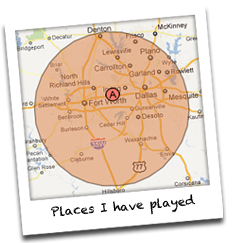 It happens very often that I will have a potential client/bride call from one state, her fiance (or sometimes-already-husband) deployed in another state or country, all trying to plan an event in Texas. In my case, I have special tools that are made to help plan a wedding long-distance. I can use email, texting, phone calls, Facetime, etc. to communicate with my couples. I will often set a phone appointment via email and make sure that I am clear to speak at the appointed time – even if it is late at night or early in the morning. Military people usually do not have much flexibility with their schedule, so I do everything I can to make sure that I can be there when needed. Another part of my service is to be able to meet local family members such as parents, etc. in order to answer questions or even just to shake a hand and put a face to the voice on the phone. Many times, I find myself visiting a venue on behalf of my couple. I can take a site survey, shoot pictures and even video to email or post privately online for my couples to be able to better understand the room and layout options. When a bride is in Virginia and a groom is overseas, it is hard to figure out a way to visualize your wedding alter in the middle of a garden facility! My written Wedding Planning Guide is a comprehensive tool that walks people through the steps of planning a ceremony and reception for most types of weddings. It can be printed and put in a 3-ring binder, or used as an electronic document. This way, we can always be “on the same page” when speaking about our plans on the phone. The internet also allows us to send links to music and find just the right songs for each part of the wedding day. While I always prefer to meet face-to-face, it is not always possible to plan a wedding that way. On several occasions, the first time I have ever met certain couples was while we were all dressed in formal attire moments before their wedding ceremony. 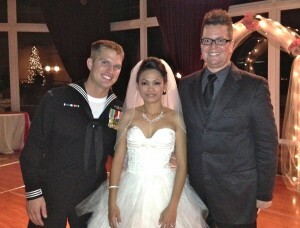 I am always honored to be a part of someone’s special day, but for me a Military Wedding is a double honor. If you are reading this, hire Mike right now. Music is always something that was important to my husband and I so we wanted a good DJ, but we had no idea how invaluable Mike’s services would be. Both my husband and I are active duty military living outside of Texas and we had many concerns about planning a wedding from afar. Mike not only addressed all of our concerns, but after every time we spoke with him, he left us only more relieved and excited for our wedding. Mike responded to every email and phone call in a timely manner, brought up ideas and topics that my husband and I never even considered, and was instrumental in bringing the ideas we had for our wedding to life. We wanted a traditional ceremony, a nice cocktail hour and dinner where everyone could mingle, and then a fun reception where everyone could dance. Mike provided all of that and had everyone from the kids to the twentysomethings to grandma and grandpa dancing under the stars! Mike’s professionalism, attention to detail, and flawless execution provided for stress-free pre-wedding days and an amazing and memorable wedding. Thank you Mike!